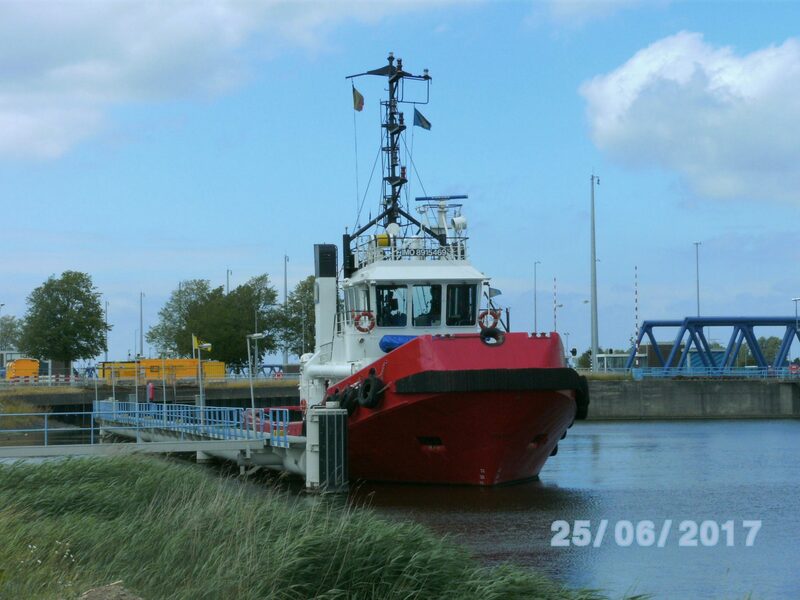 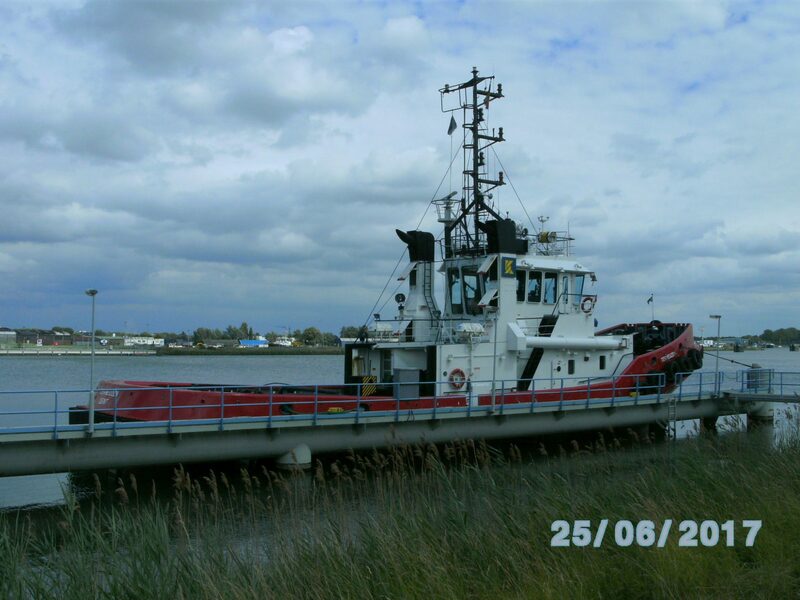 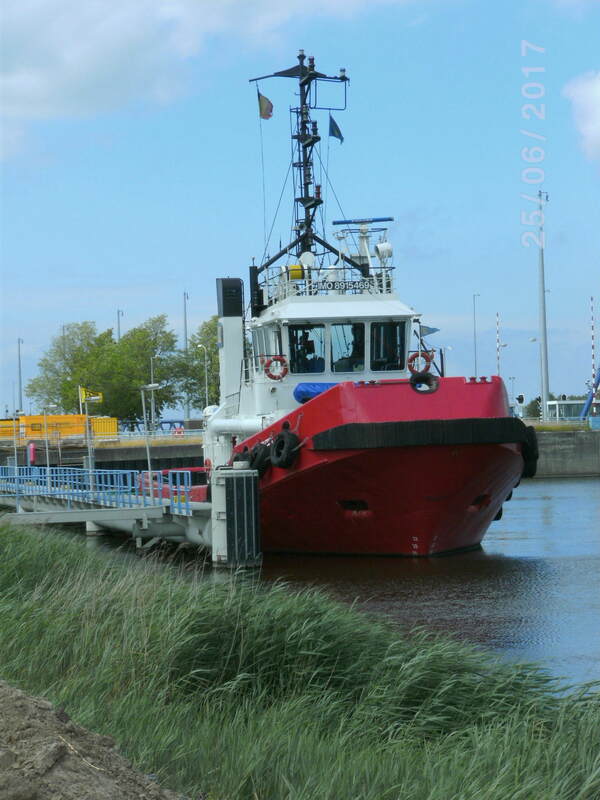 Tug TERNEUZEN (Kotug-Smit) spotted behind the locks at Terneuzen. 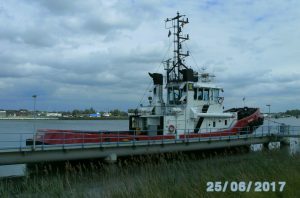 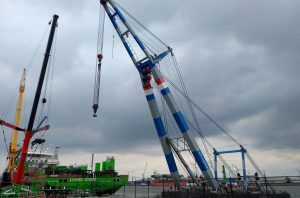 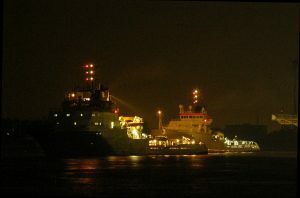 TERNEUZEN belongs to a class of four sisters vessels, so called seagoing combi-tugs build originally for URS Belgium with a BP of 39 ton, namely; YOLANDE LETZER 1991 (now BRAAKMAN), TERNEUZEN 1991, NATHALIE LETZER 1993 (now MULTRATUG 13) and THOMAS LETZER 1993 (now MULTRATUG 1). 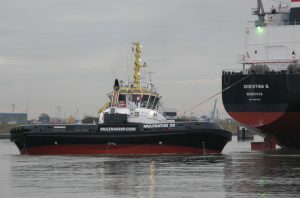 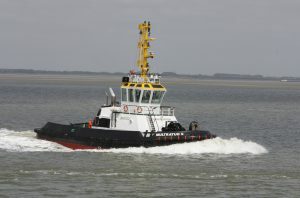 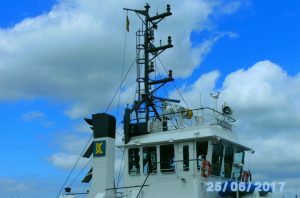 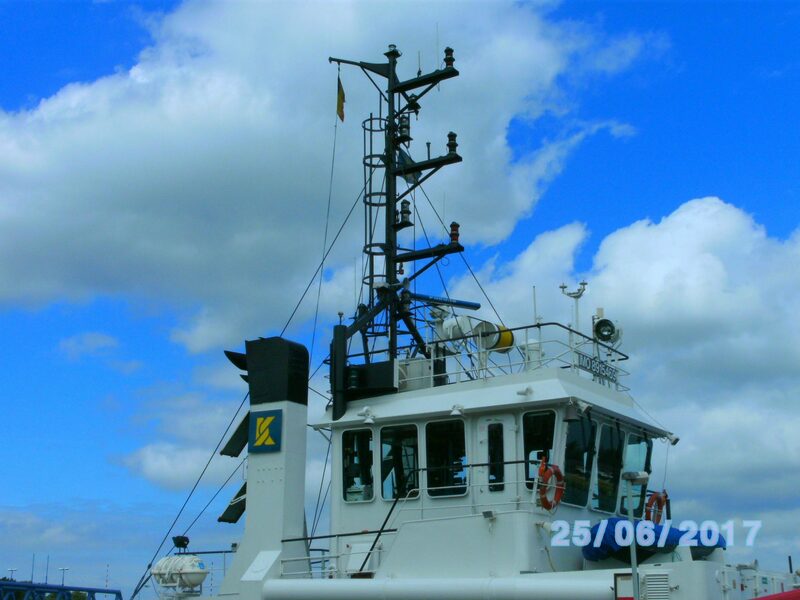 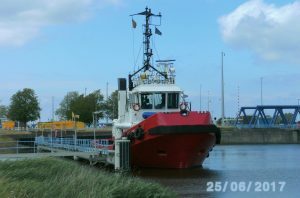 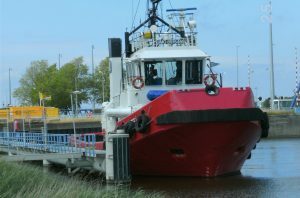 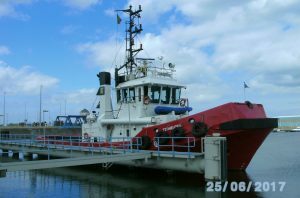 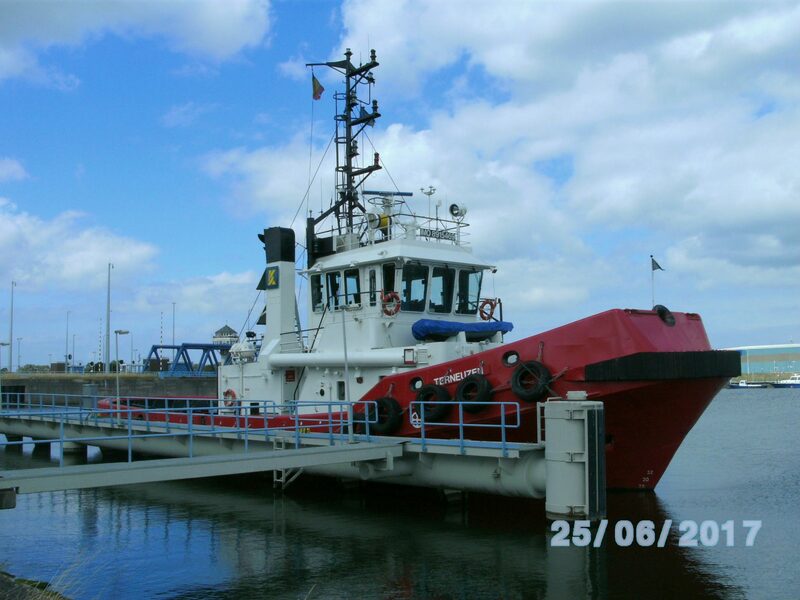 The combi-tugs have one fixed propeller and one retractable bowthruster.